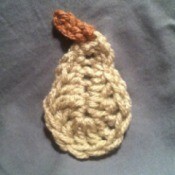 Making a Crochet PearThis is a guide about making a crochet pear. This small crochet project can be used for an applique', gift decoration, a refrigerator magnet, or to decorate a homemade greeting card. Making an Origami EnvelopeThis is a guide about making an origami envelope. 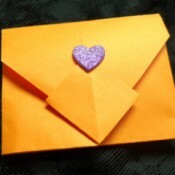 Using any kind of paper you can fold an attractive envelope for small gifts, notes and gift cards. Ricotta Pancake RecipeThis page contains a ricotta pancake recipe. 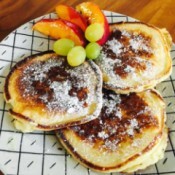 The creamy taste of ricotta cheese makes these pancakes special. 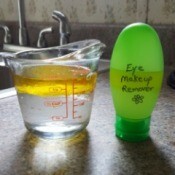 Homemade Eye Makeup Remover RecipeThis is a guide about homemade eye makeup remover recipes. Save money by making your own eye makeup cleaner at home. Making an Origami Paper FlowerThis is a guide about making an origami paper flower. 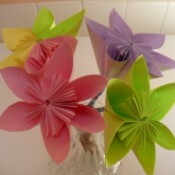 A beautiful flower arrangement can be made folding new or recycled paper with this Japanese paper art. Apple Tart RecipesThis page contains apple tart recipes. 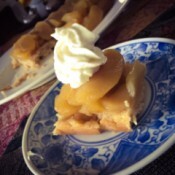 Apple tarts are a delicious, easy to make, dessert. They are perfect for serving on a crisp fall day. Removing Candle Wax from a Metal Stove TopThis is a guide about removing candle wax from a metal stove top. 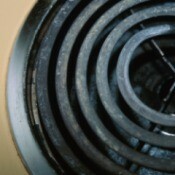 A wax mess on your stove can be a challenge to remove any discoloration. 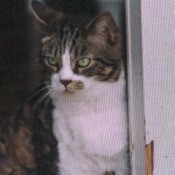 Preventing Cats from Tearing Window ScreensThis is a guide about preventing cats from tearing through window screens. Window screens can not stand up to your kitty clawing at it whether she is trying to get the bird outside or trying to ask to come in. 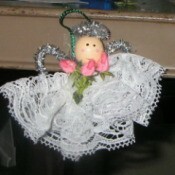 Making a Lace AngelThis is a guide about making a lace angel. A holiday craft project that you can personalized for a special gift. 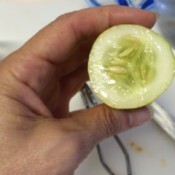 Saving Cucumber SeedsThis is a guide about saving cucumber seeds. You can save money on garden seeds by collecting them from this year's crop for use next year. Making a Ribbon AngelThis is a guide about making a ribbon angel. 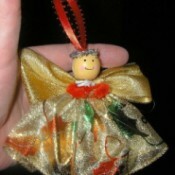 An inexpensive ornament to make that can decorate a Christmas tree or be a fun gift. 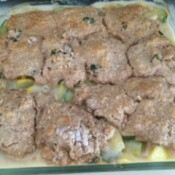 Vegetable Cobbler RecipeThis is page contains a vegetable cobbler recipe. Try making a savory cobbler using seasonal vegetables. Making a Straw Hat WreathThis is a guide about making a straw hat wreath. 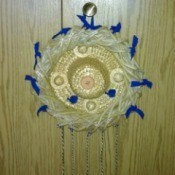 Inexpensive straw hats can be used to create a unique decorative wreath for your home. Sweet and Sour MeatballsThis is a great recipe for the busy person, as it can be made in the slow cooker. If you use all pre-made frozen items, there is virtually no prep time. 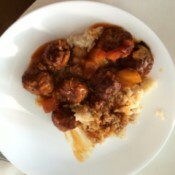 I prepared my own meatballs and used fresh onions and peppers, as it was cheaper for me. When frozen meatballs and vegetables go on sale, I will be using that. 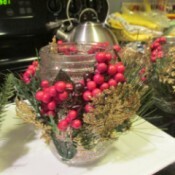 Decorated Christmas Tea Light JarsThis craft is about making decorated mason jars lighted by a tea light inside. It's an easy, fun, and very attractive decoration. You could use these as place settings at a Christmas dinner. Removing Adhesive from Stick-On VelcroI bought a strap of Velcro to be sewn on some fabric. It's silly of me not to have read the packaging. The Velcro comes with adhesive tape on the back of it. I don't wish to discard it as it's a waste. I hope you can help and advise how do I remove the adhesive from the whole strap of Velcro? Living Room Paint Color AdviceI have a rather large living room, a white leather sofa (sectional, small), 2 gray swivel recliners, and hardwood floors. My accent furniture is rather dark. What color would I paint my living room? It has a peaked 20 feet ceiling. Medicare and BCBS Health InsuranceI'm a retired Federal worker. I have BCBS Federal Family for health insurance. Medicare will be taken out of my Social Security check, and I will have to pay for supplement insurance. 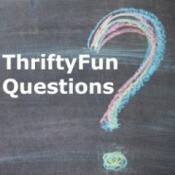 Will I still have to pay 500 dollars for the BCBS, plus have money taken out of my Social Security and pay for supplement insurance? Cleaning Mold and Mildew off of SidingHow can I clean mold and mildew from siding, using items that I have at home?